This incredible image was captured using a scanning electron microscope. 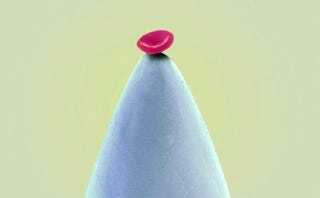 It's been colorized to provide contrast, but this is actually what it would look like if you balanced one red blood cell on a pin. Amazing.